Világszerte már 40 millió készüléket telepítettek integrált HART-jellel. 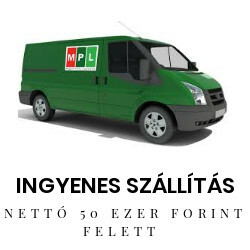 Ezt a jelet legnagyobbrészt még nem használják a rendelkezésre állás növelésére. A mi kedvező költségű alkalmazásunknak köszönhetően már most kifizetődő az Ön készülékeinek és berendezéseinek folyamatos felügyelete. The HART (Highway Addressable Remote Transducer) protocol uses the Bell 202 Frequency Shift Keying (FSK) standard to superimpose digital communication signals on the 4-20 mA loop current shown as below figure. HART communicates at 1200 bps without interrupting and interference with the 4-20mA signal and allows a host application (master) to send/receive digital information from a smart field device. The 4-20mA signal communicates the primary measured value - the fastest and most reliable industry standard. The digital signal can be used for additional device information including device status, diagnostics, additional measured or calculated values, etc. Therefore, the HART communication including analog and digital information provides a low-cost and very robust complete field communication solution that is easy to use and configure. HART is a master/slave protocol which provides for up to two masters (primary and secondary) and the secondary master such as handheld can be used to monitor/control the informatoin of HART bus. HART can be used in various modes such as point-to-point or multi-drop for communicating information to/from smart field instruments and central control or monitoring systems. The following are the description of two main HART operation modes. The analog and digital information can be communicated simultaneously in this mode. Both the 4-20 mA current and the digital signal are valid output values from HART instrument. The polling address of the HART instrument must set to be "0" and just one HART instrument can be put on HART bus. An optional "burst" communication mode where a single slave device can continuously broadcast a standard HART reply message can be used in peer-to-peer configuration and the higher update rates are possible. In this mode, only the digital signal can be used and the analog loop current is fixed at 4 mA. It is possible to have up to 15 instruments on HART bus. The polling addresses of the instruments could be from 1 to 15 and each instrument needs a unique address.